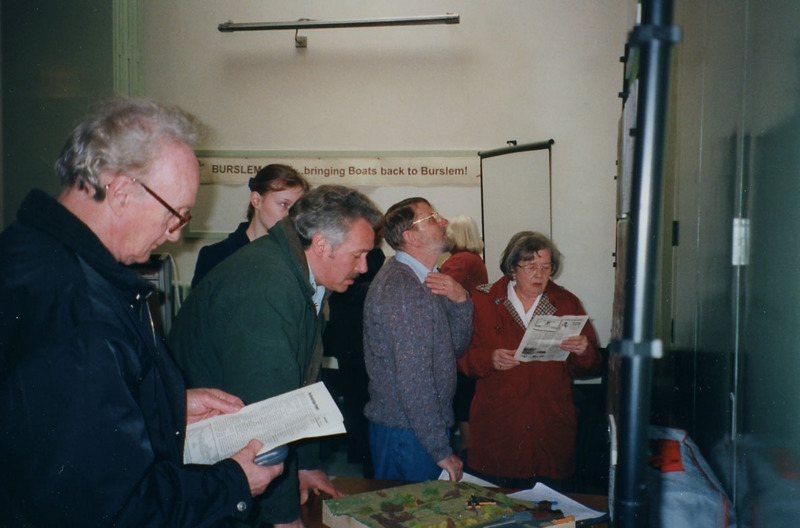 Members of the Inland Waterways Association began campaigning for the restoration of the Burslem Branch Canal. Meetings are held in Middleport and is soon clear that there is community support for the scheme. The name Burslem Port first appeared around this time, being a reference to the many "Ports" along this section of the Trent & Mersey Canal; Westport, Longport, Middleport. Note that the name Port Vale given to the local football club is another reference to this, as are nearby road names such as Millvale Street.